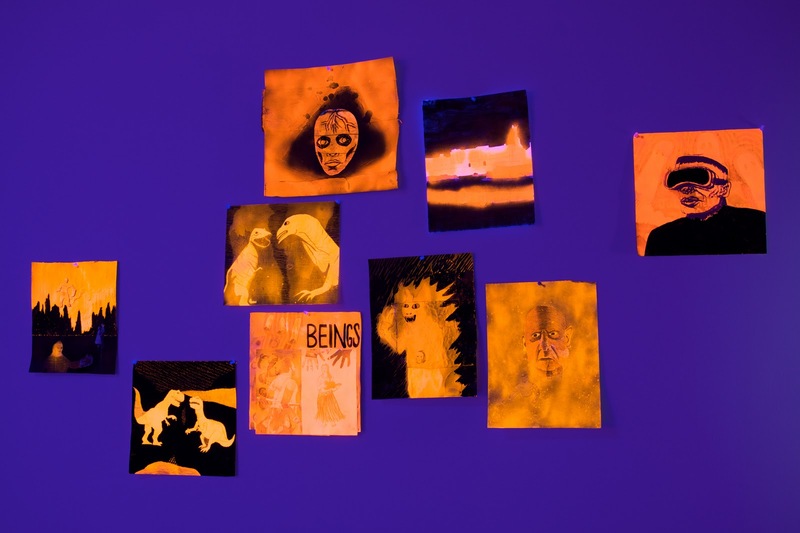 Sandy de Lissovoy and David Kelley have engaged in a year-long, bi-coastal collaboration ultimately aimed at the installation of a fluid set of sculptures, performances and videos. 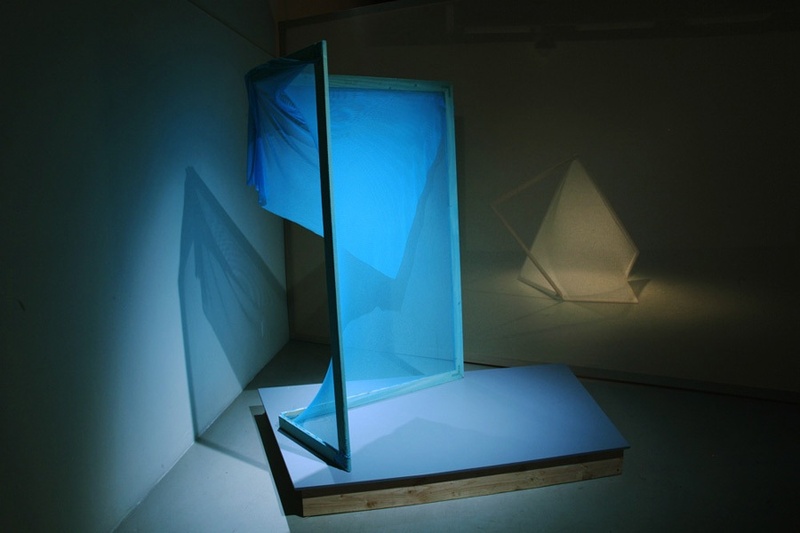 Evolving from multiple points of departure, the collaboration includes the use of fragments of screens and sets, the allure of silhouetted construction sites, and the combination of functional sculptures with figures performing in relation to them. 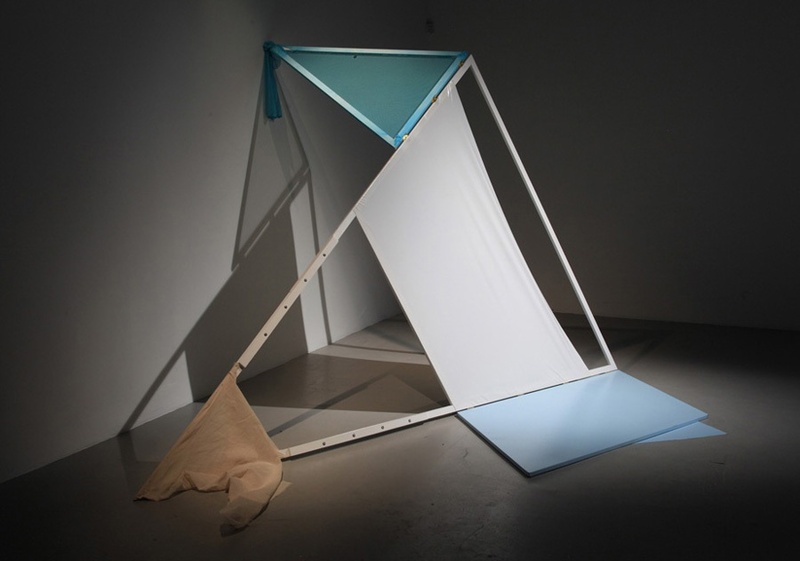 They took on notions of the hinge and its suggestions for performance, the ephemeral installations of Helio Oiticica, Land Art, the movable sculptures of Lygia Clark, and the resistance of a geographically distant partnership. 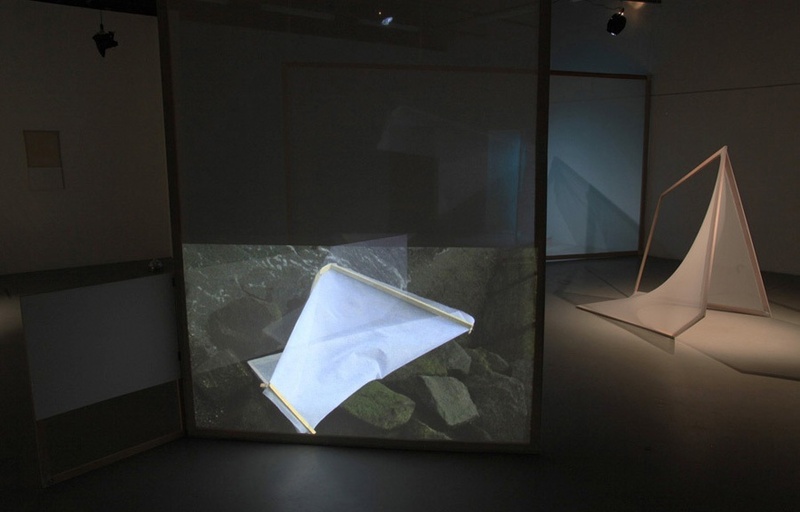 The resulting formation, Survival-based Camp, stakes a claim for contingent beauty by setting up juxtapositions of objects, screens, and corresponding actions. 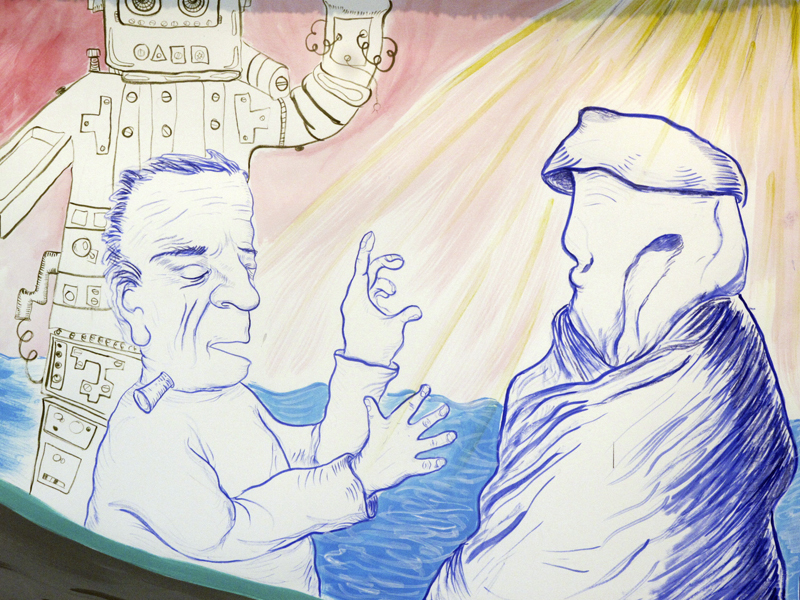 The screen plays an integral role in this collaboration. 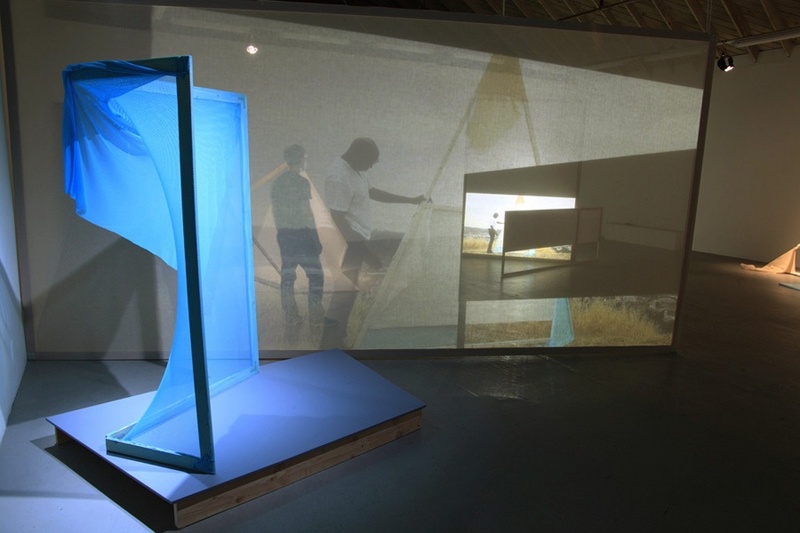 The artists engage the screen in their sculptures as both a surface through which to see, as well as an obstruction or camouflage. 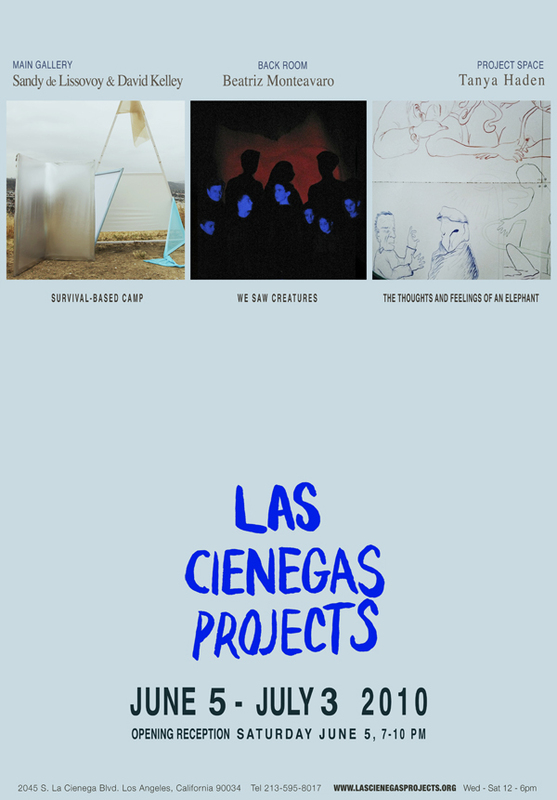 For Las Cienegas Projects, hinged and moveable screens stand in as fragments of space and demarcate a specific place and moment. 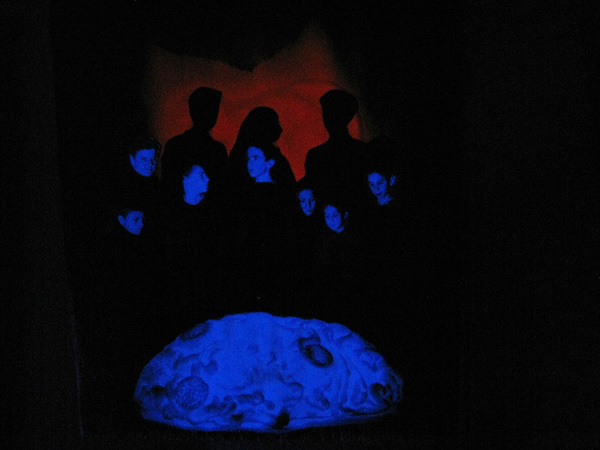 Films of various performances with these sculptures are projected on and around the sculptures themselves. Silent exercises of choreographed and improvised movement, the films are further iterations of different bodies and their relationships with the sculptures they are manipulating, the spaces they occupy, and their own bodies. 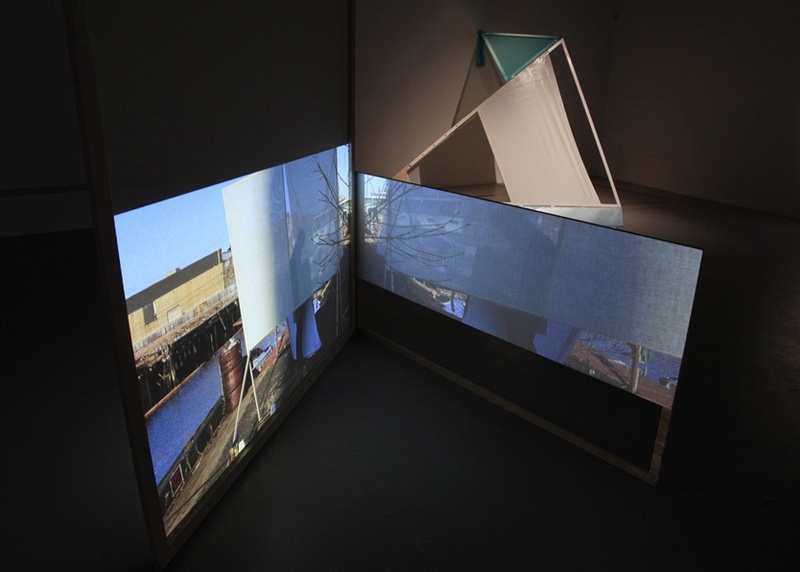 The films also work to bring the outside landscape and distance into the static interior space of the gallery, and emphasize a crucial aspect of de Lissovoy and Kelley’s use of hinged screens, to simultaneously separate and connect people and places. Visitors to the exhibition are implicated in this structured and demarcated way of being and seeing as the artists open again that contested area of how we use public space and impose ourselves upon it. Sandy de Lissovoy was born in Berkeley, CA, and lives in Los Angeles. 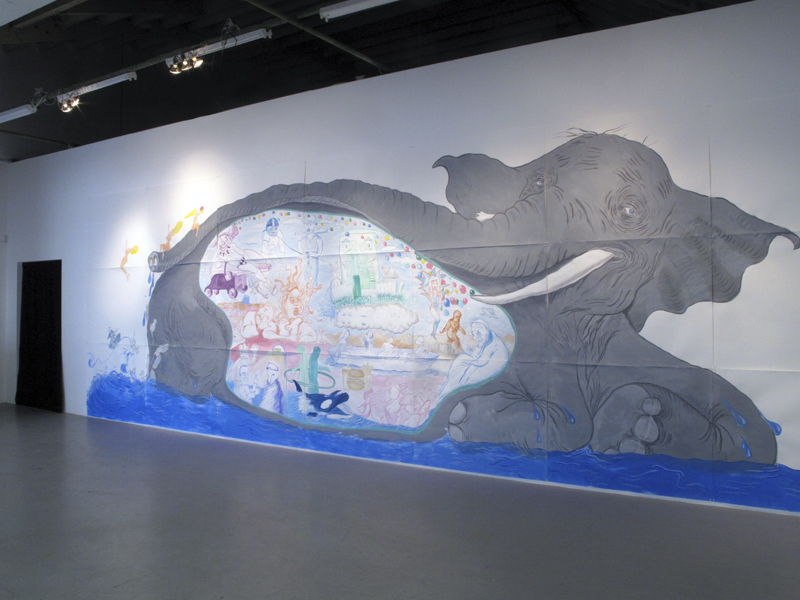 He received an MFA from UC Irvine and a BFA from California College of the Arts, San Francisco. 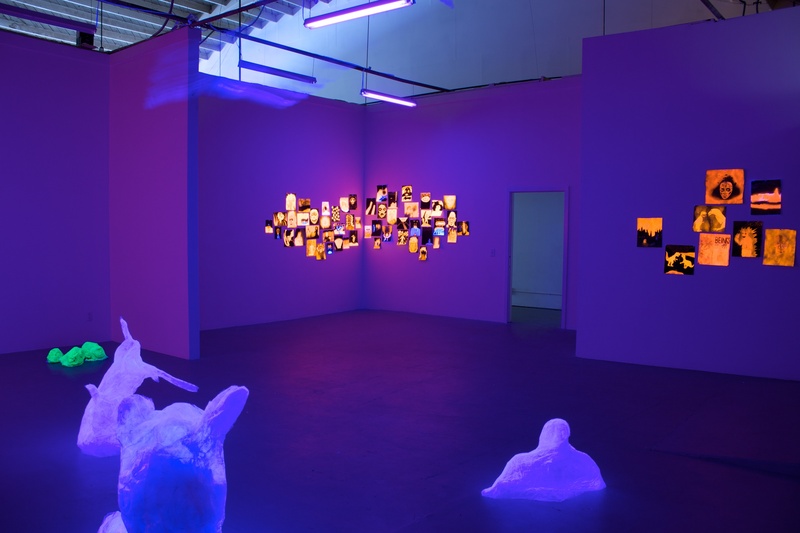 His projects have recently been seen at LAXART, Chung King Project, and Las Cienegas Projects, Los Angeles. His work evolves from the expanded sculptural range that is not-architecture and not-landscape, while investing personal memory into a medium that he composes in the boundaries between sculpture, painting and architecture. 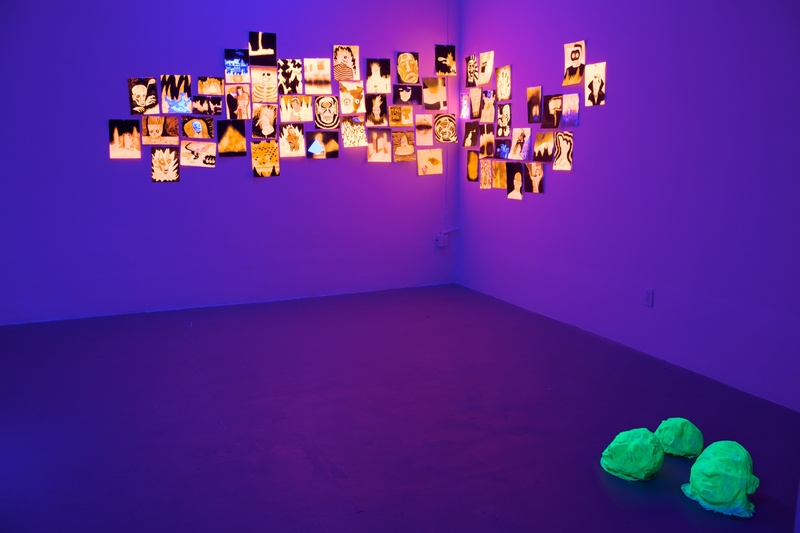 Born in Portland Oregon, David Kelley lives in Brooklyn, New York, and is currently teaching photography and video at Art Center College in Pasadena. 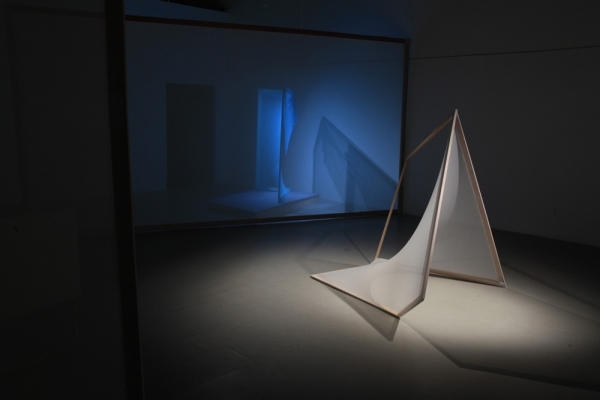 Working interchangeably between photography, video, sculpture and installation, Kelley is critically engaged with the subjects of performance and realism. Kelley’s works have shown recently at MASS MoCA, North Adams, MA; Museum of Modern Art, New York; Gallery Gabriele Maubrie, Paris; and Franco Soffiantino Contemporanea, Turin. 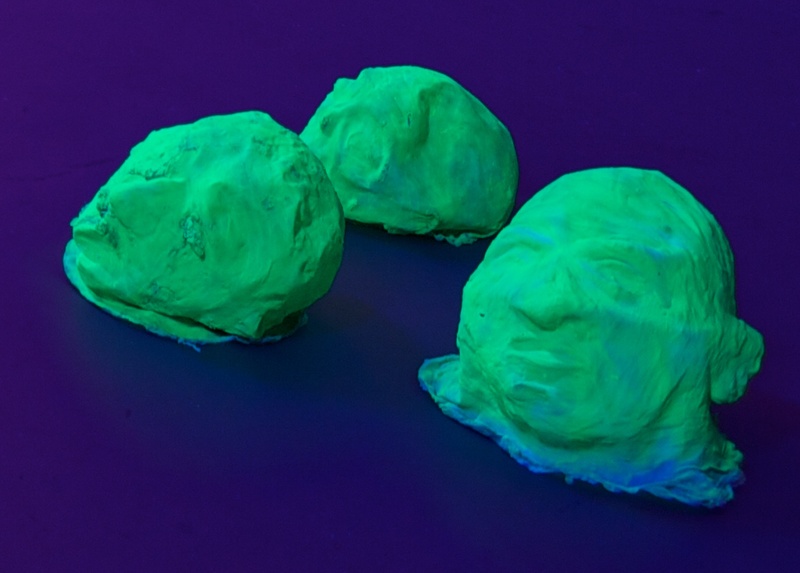 Concurrent to Survival-Based Camp at Las Cienegas Projects, Kelley is showing his new video installation Sieve at Art in General in New York, June 11-26 as part of the Whitney Museum Independent Study Program exhibition. 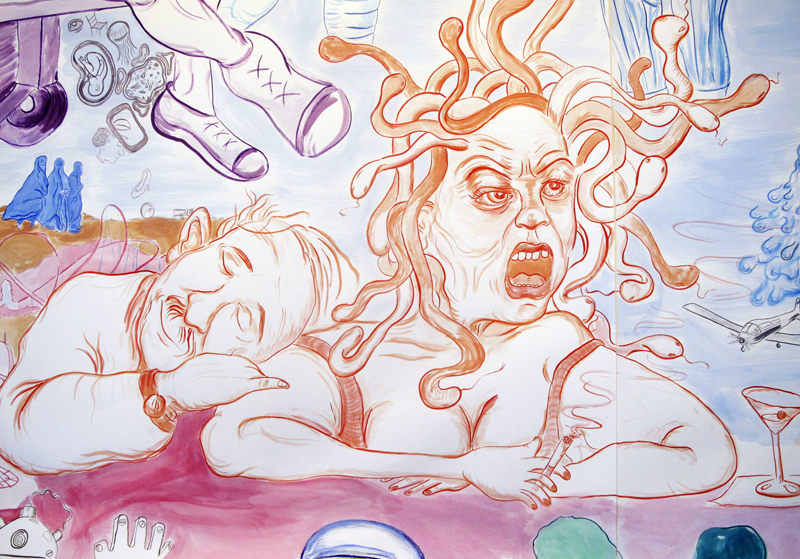 The drawings of Tanya Haden are steeped in pyschologically charged fantasy narratives. 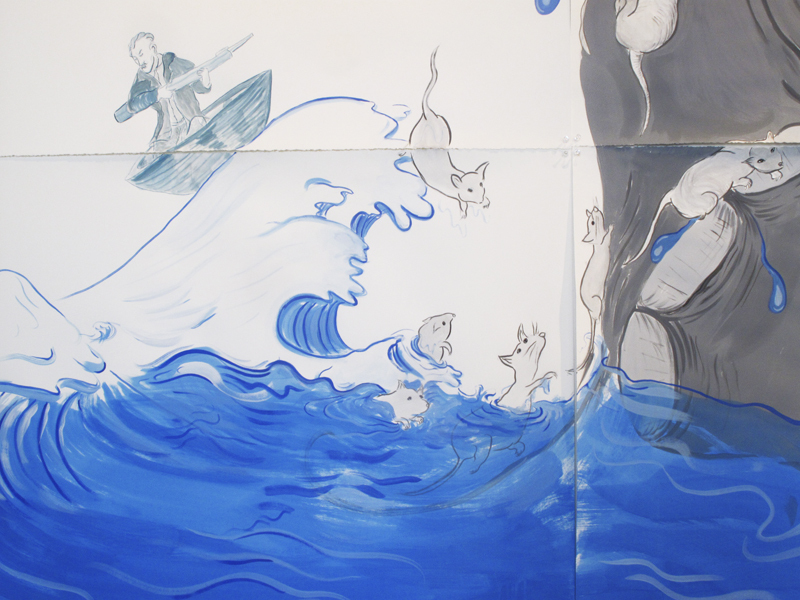 Working primarily with pencil and ink, her background as an animator lends to the creation of drawings that explore childhood memories, fears, and the boundaries in familial relationships. 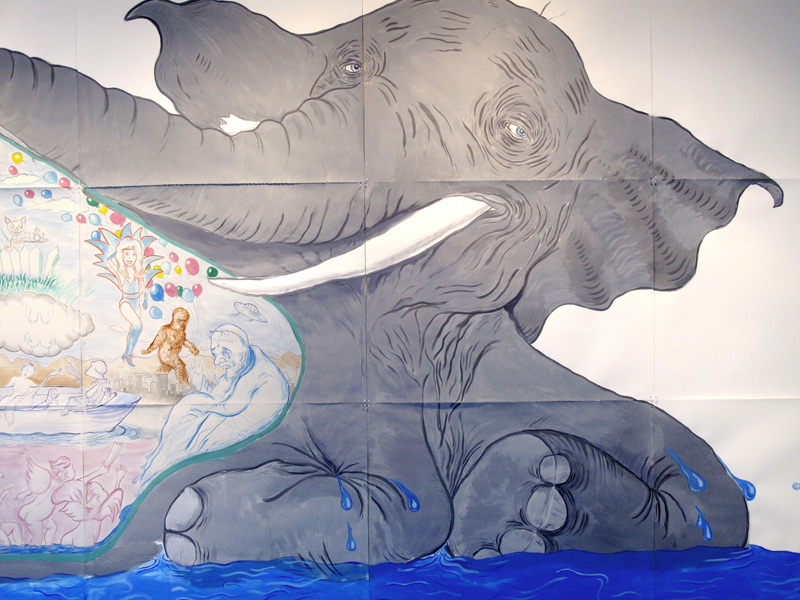 She often employs humor that skillfully represents the fragility and power of innocence, innocence lost, and general power structures in all aspects of life. 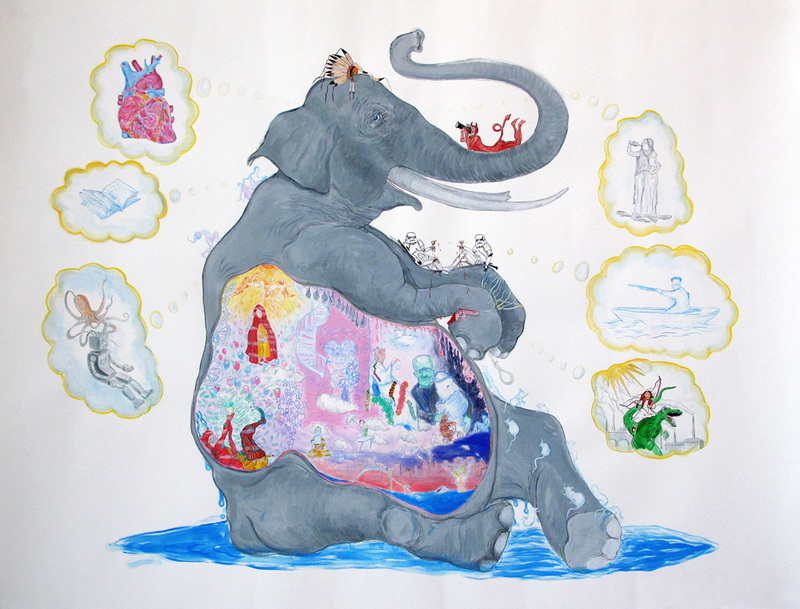 For the Project Space, Haden will present The Thoughts and Feelings of an Elephant, an expansively scaled gouache work on paper. 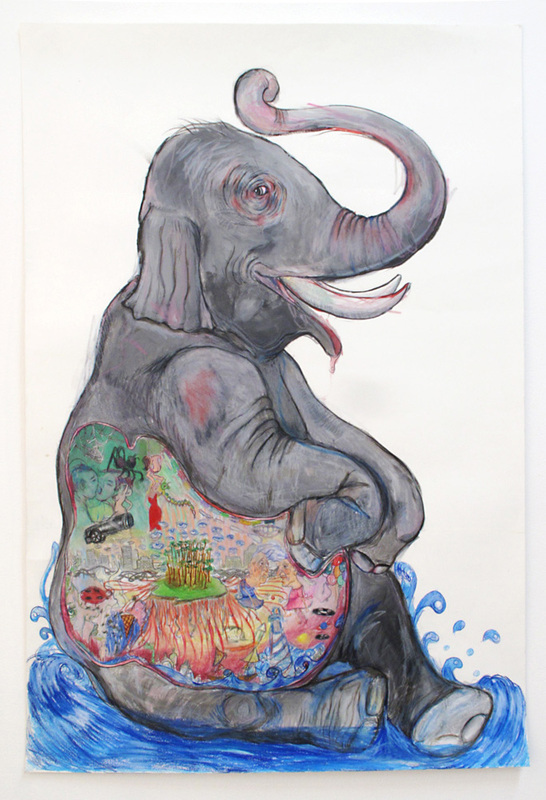 Continuing an ongoing series of animal drawings, this giant elephant’s insides are pictorially stuffed with elephant references and influences of increasing personal interest. 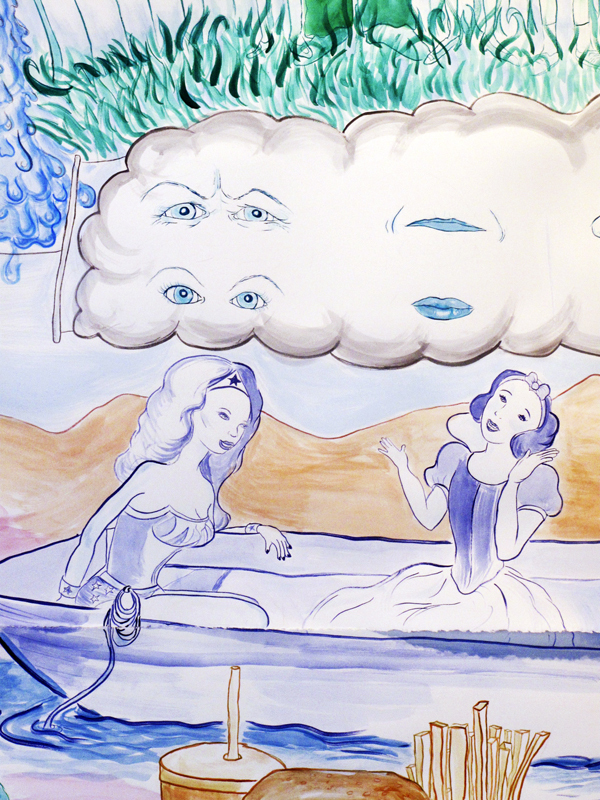 Tanya Haden received an MFA in experimental animation from CalArts in 2000. 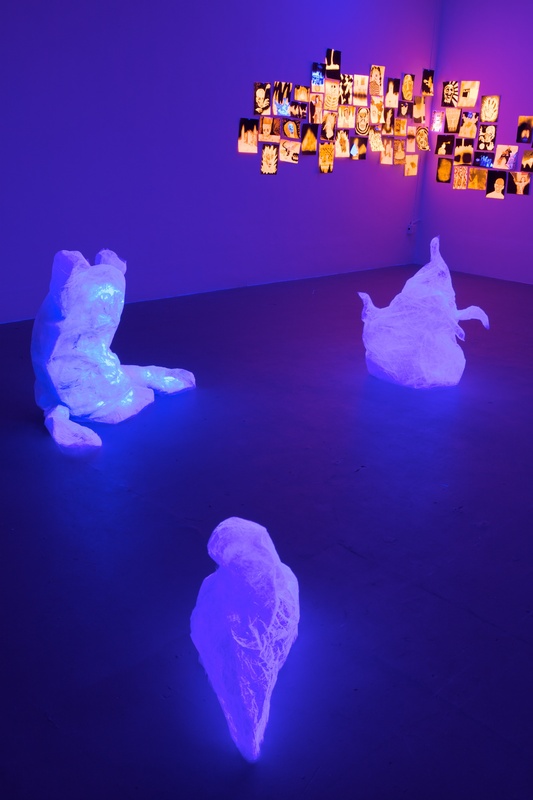 She has participated in group and solo shows in Los Angeles including Faces and Places and Things That Once Were, Angstrom Gallery, Los Angeles (2006), and contributed to several book publication/exhibition projects curated by Steven Hull, including Ab Ovo, Nothing Moments Project, and Song Poems. Also a musician, Haden has performed with artists Mike Kelley and Marnie Weber, including vocal and cello performances for Weber’s band, Spirit Girls. Haden lives and works in Los Angeles. 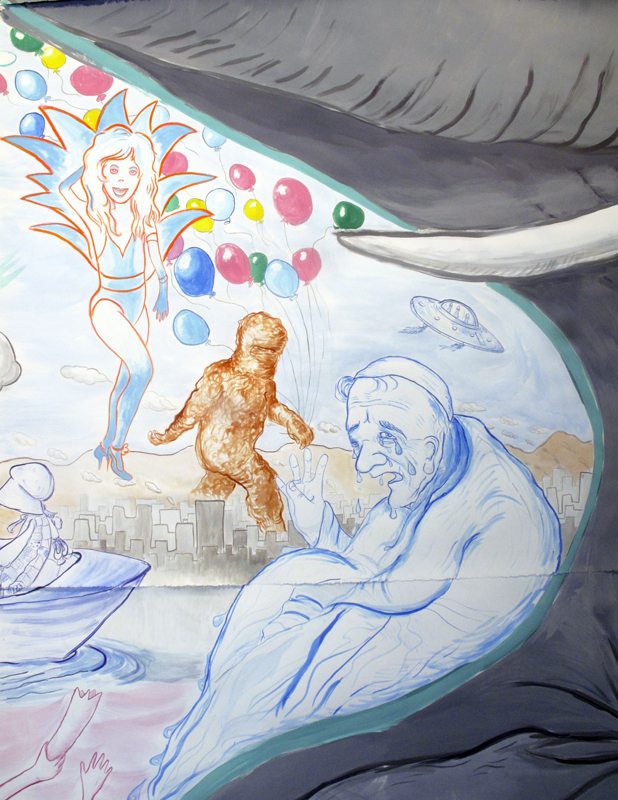 Inspired by dark carnival rides–particularly haunted houses–, album cover art, including the front cover of Pavement’s recent Quarantine the Past LP, and pulp horror movies like The Haunted Palace and From Beyond, Beatriz Monteavaro’s drawings depict glowing monsters and demons, vampires and giant brains, all residents of childhood nightmares. 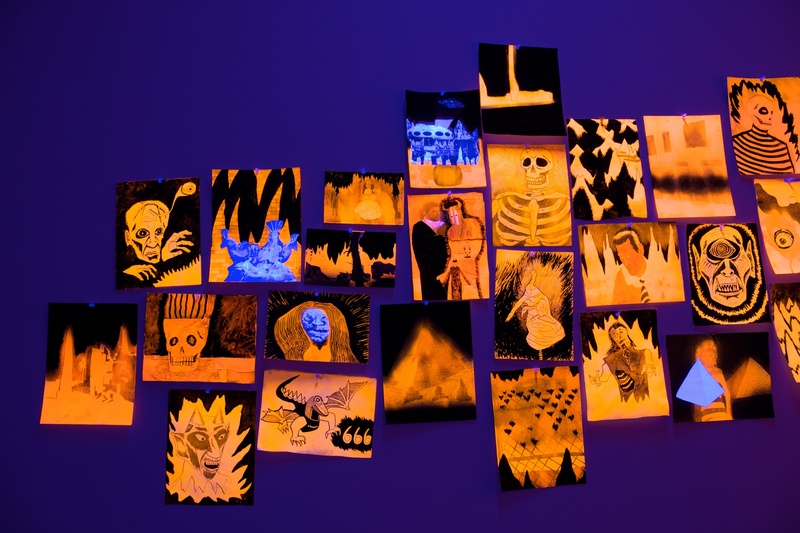 For Las Cienegas Projects, Monteavaro will create a destabilizing black-lit environment with drawings and sculpture, including transparent packing tape sculptures resembling amorphous shapeshifting specters, caught in a moment between materialization and dematerialization. 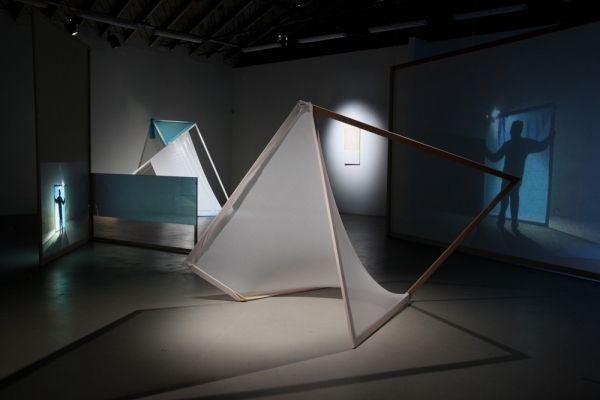 Beatriz Monteavaro was born in Cuba, and received a BFA from Tyler School of Art of Temple University. 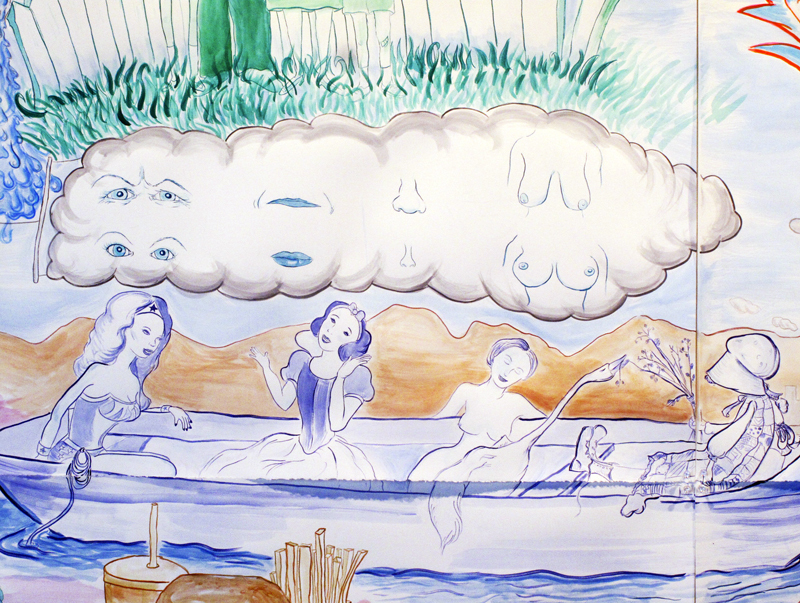 Her work has been exhibited in venues such as Annina Nosei Gallery, New York; Museum of Contemporary Art, North Miami; Centro Cultural Español, Miami; NFA Space, Chicago; The National Museum of Women in the Arts, Washington D.C; Tent, Rotterdam; Galerie Edward Mitterrand, Geneva; and Galerie Emmanuel Perrotin, Paris, among others. She has had solo exhibitions at Fredric Snitzer Gallery, Miami; Derek Eller Gallery, NYC; Galerie Baumet Sultana, Paris; and The Gulf Coast Museum of Art in Largo, FL. Her work has been reviewed and featured in Flash Art, ArtUS, ArtNews and Art Papers, and she was selected by Gean Moreno to produce an artist book through [NAME] Publications, called Quiet Village, which was published in 2009. Monteavaro has been playing drums in bands since 1991 including The Human Oddites, Floor and Cavity. Her current band, Beings, will be releasing a 12” through Amnesian Records this year. She lives and works in Miami.